Are your kids all back to school? We start back on Thursday, and I have a little something to tuck into Maia's lunchbox for the 1st day. The older 2 are starting to poo-poo getting cutesy little cards in front of their friends, but Maia still loves it. 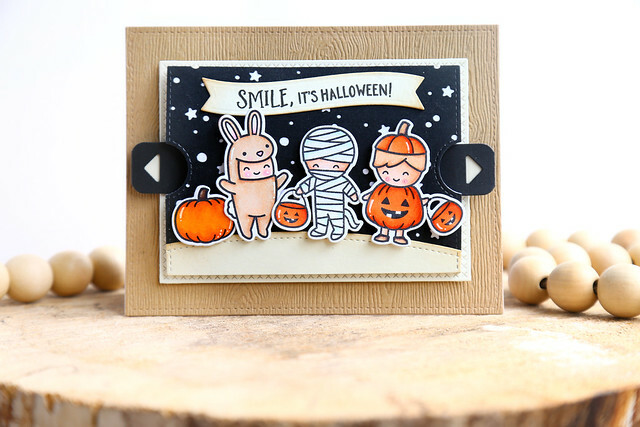 Everything I used to make this card can be found in the Ellen Hutson store. I combined 2 Neat and Tangled sets here - Later Alligator and Schoolhouse. 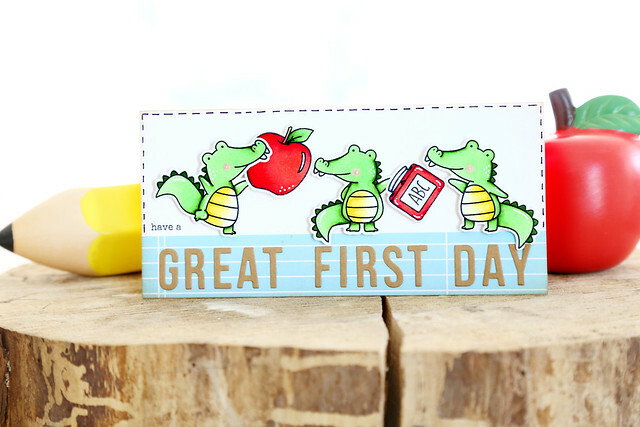 These quirky alligators are Maia's favorite so I know it'll bring a smile to her face. I then turned to EH's Block Words dies to spell out the big sentiment at the bottom. I hope you like it! 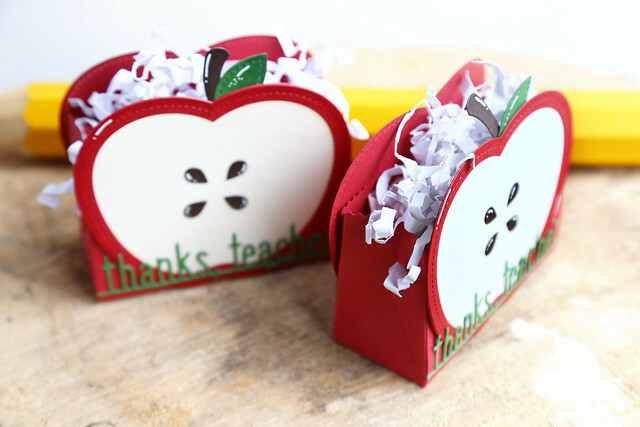 Do you surprise your kids with cards in their lunchboxes? 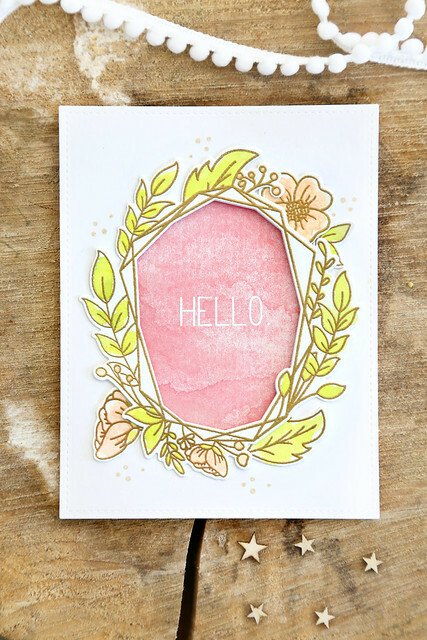 I'm playing catch-up, showing off a Lawn Fawn project that was shown on their blog, but that I missed posting here. 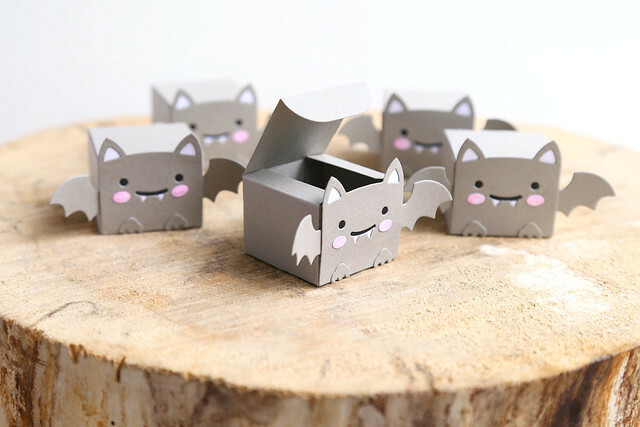 The Tiny Gift Box Bat Add On is the cutest thing! 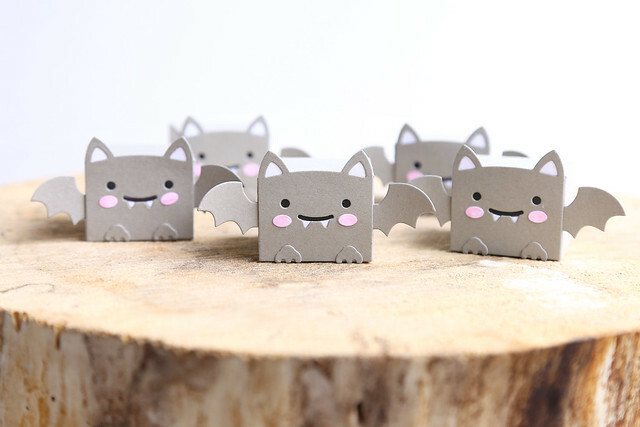 I can't wait to include them on a Halloween party set-up. I cut them out of Narwhal cardstock - it's a perfect warm grey color - and used Black Licorice and white cardstocks for the accents. I colored the cheeks with a pink marker. I hope you like them! 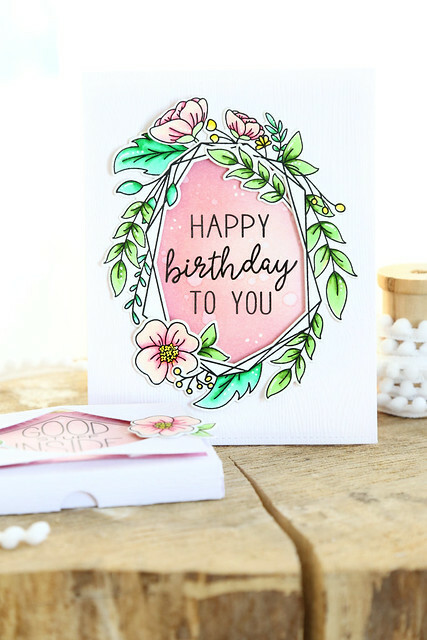 Be sure to check out the Lawn Fawn blog this morning - they've posted a full look at all of the products we've been highlighting all week, and announced all of the winners! I am terribly behind on my posting this week! We hosted a big 40th birthday party for my hubs last night and for the last week I haven't been able to focus on anything more than baking and prepping and decorating for our 35+ guests. It was such a fun time, but I was running around so much I hardly snapped any photos. ack! Back to today's business! 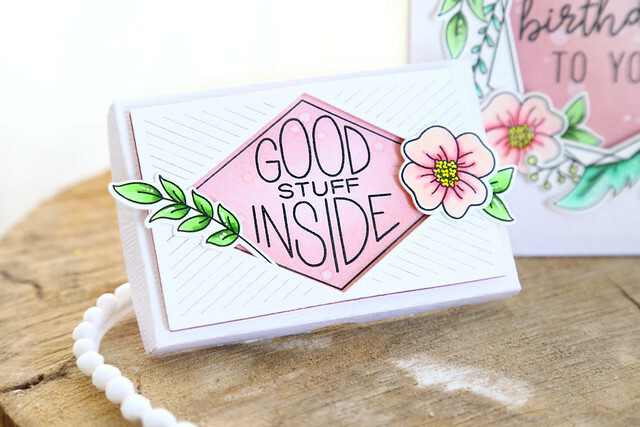 Lawn Fawn inspiration week continues today, with a closer look at the Mini Pop Up Box die. 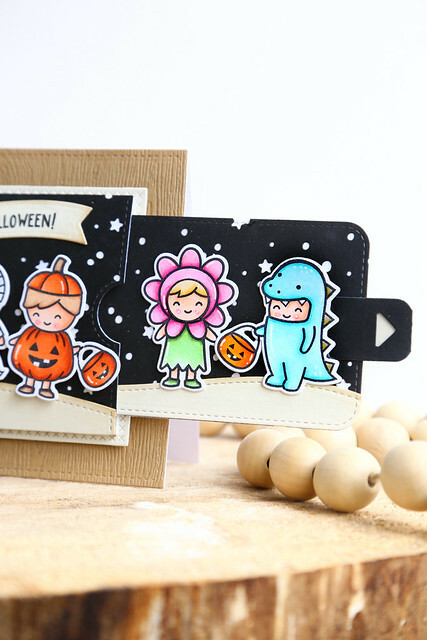 I decorated the card with the bear from For You, Deer and gave them all halloween accessories from Booyah. I matched the inside of the card to the outside. I gave it the same starry background treatment, and cut a kraft-colored box inside to match the base layer outside. I hope you like it! 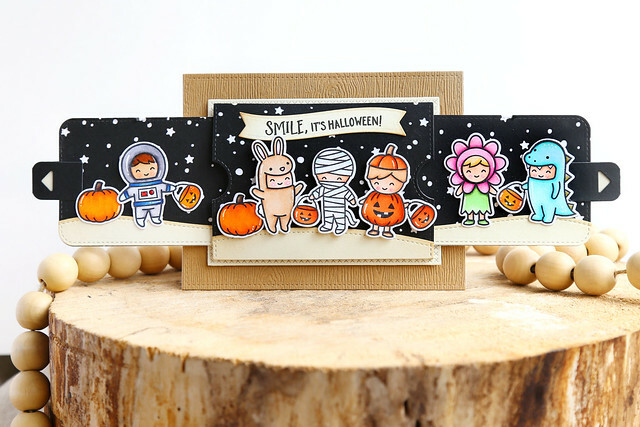 Check out the Lawn Fawn blog today to see all sorts of different designs for this box - click! I resisted using Fall colors on this one, even though I kept it cozy with woodgrain and a Knit Picky Fall background paper. The owl with the glasses cracks me right up. I've used the original Reveal Wheel Sentiments and the new Reveal Wheel Square Add On die set to present thanks in many languages. I used the Stitched Apple Frames, as well as the Outside In Stitched Apple Stackables to create these gift bags. The base of the bag is Lawn Fawn's Tote Bag. I snipped off the handles and sandwiched it between 2 apples. The back apple is plain red, while the front got a more special treatment. The apple was decorated with seeds, the stem and a leaf. I treated all of these to white accents via a gel pen. I think it really helps them pop! To finish off, I added the Thanks, Teacher Line Border to the bottom of each bag. It's a total TA-DA! moment. More of the costumed kids, including the astronaut from Out Of This World. I continued the starry sky and rolling hills either way, so it really looks like one seamless story. I hope you like it! 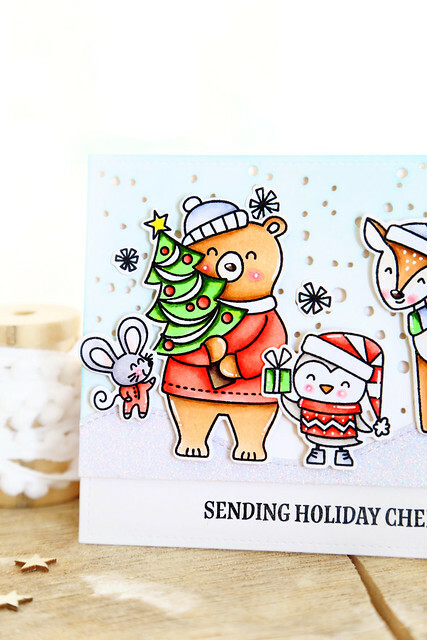 Kelly takes you step-by-step through how to use this die - I can't wait to use it for all kinds of Christmas scenes! 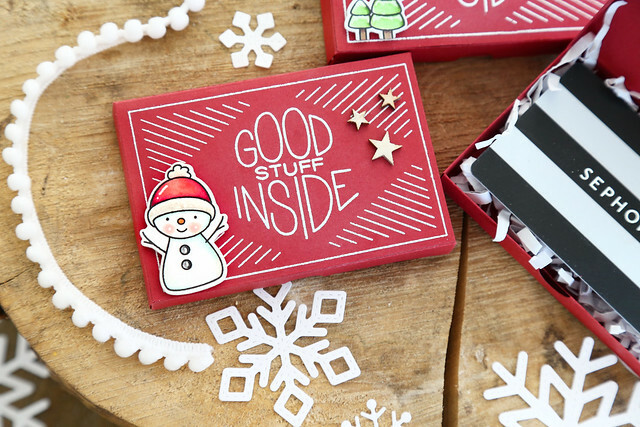 I used our new Gift Card Box to create these fun packages. I don't know about you, but between teachers and my sisters, I give a lot of gift cards over the holidays. I love being able to make a gorgeous packaging for them! This box is a snap to put together, and doesn't require a lot of glue. I like that it's just one piece, fold on the score lines, adhere and done. No need to cut a second piece and fiddle to put it together. To decorate the top of the boxes, I heat-embossed both the frame and the sentiment from Thanks So Much. 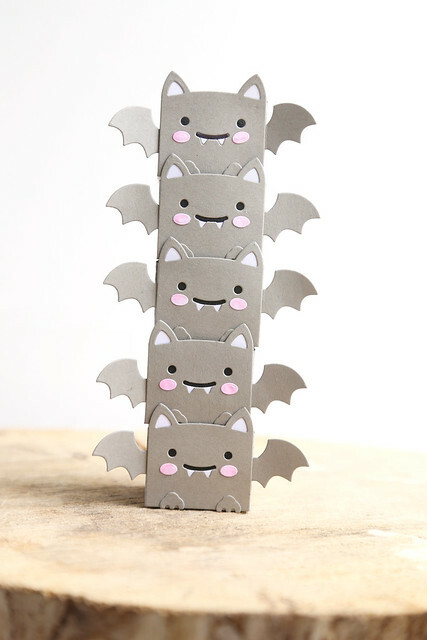 I feel like this set, which coordinates with the box die really makes both must-haves. I love how Miriam designed these products! 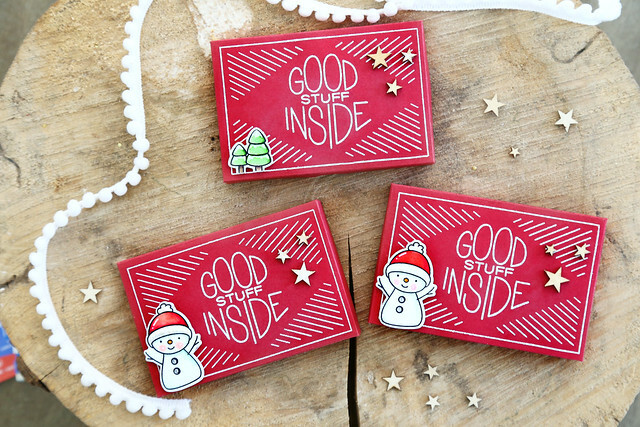 I also added a few images to the tops of the boxes: the snowman from Get Yeti and the little trees from Bunny Slopes. A few wooden stars adds an accent to balance out the other side. When the box opens, I shredded some white computer paper to make the gift card presentation feel more special. 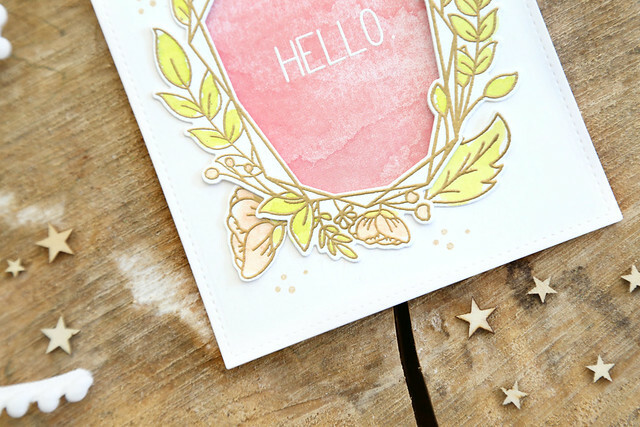 I'm thrilled to be joining the rest of the Avery Elle team to show off our newest release! I colored the adorable images from A Merry Little Christmas and gave them a sparkly rolling snowy hill to stand on. The little mice in their onesie pyjamas are my fave! I die-cut a snow-fall in the background, and gave that layer the lighter blue-ink haze. I hope you like it! There's more to see today! 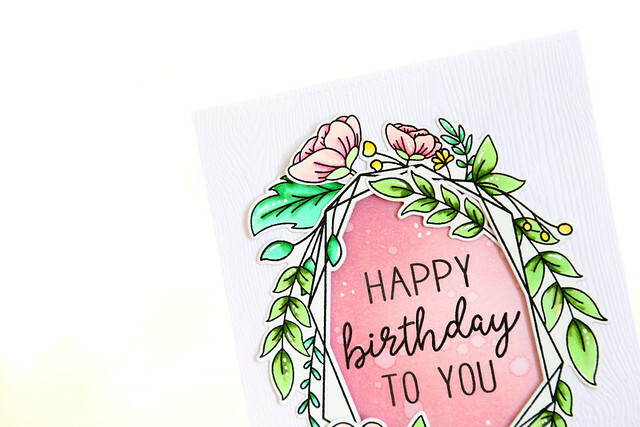 To celebrate the Fall 2018 Release Blog Hop, Avery Elle is giving away a $25 Gift Certificate to one random winner. To enter to win just comment on their post today (click!) There is no purchase necessary and you must be 18 years of age or older to enter. This giveaway is void where prohibited. You can also do options 2, 3, 4, 5 or all 6 of the following to increase your chances of winning. You have until midnight Sunday, August 12th to enter. 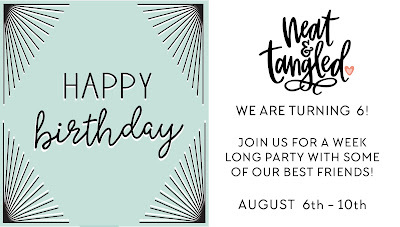 The winner will be announced on the Avery Elle Blog on Monday, August 20th . All products are available for purchase in the Avery Elle store right now. Follow AE on Facebook (we are www.facebook.com/AveryElle ) and share us with your friends - make sure they tell us you sent them. 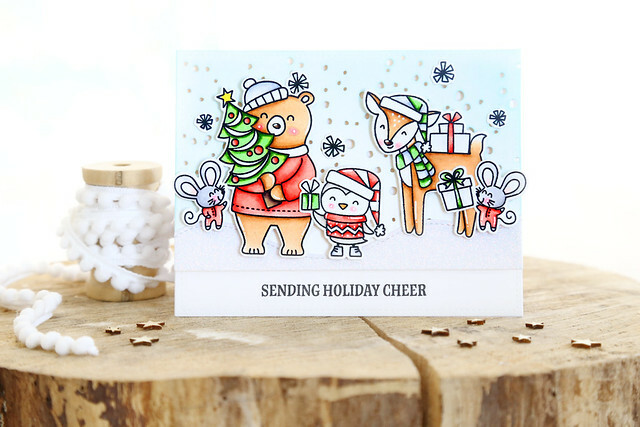 The next stop on your blog hop is to the amazing Nicky - click!